In most parts of Metro Vancouver, more than half the working population commutes to workplaces outside their home town — this is according to a Vancouver Sun analysis from 2014, which echoed findings from the previous decade. A typical central area viewscape, with nature in the distance. T&T Auto Parts is on the left in this photo, Accent Glass & Locksmith (not visible) is in the strip on the right. In my suburb of Maple Ridge, many people drive every day to the Tri-Cities (20-40 minutes one way), Burnaby (35-50 minutes one way) or even further. Not surprisingly, we have a big automotive sector. Auto dealerships are among the biggest employers, and they dominate the highway that connects Maple Ridge to the inner suburbs. Probably our most prominent head office belongs to Lordco Auto Parts, a chain with more than 120 retail locations around British Columbia. 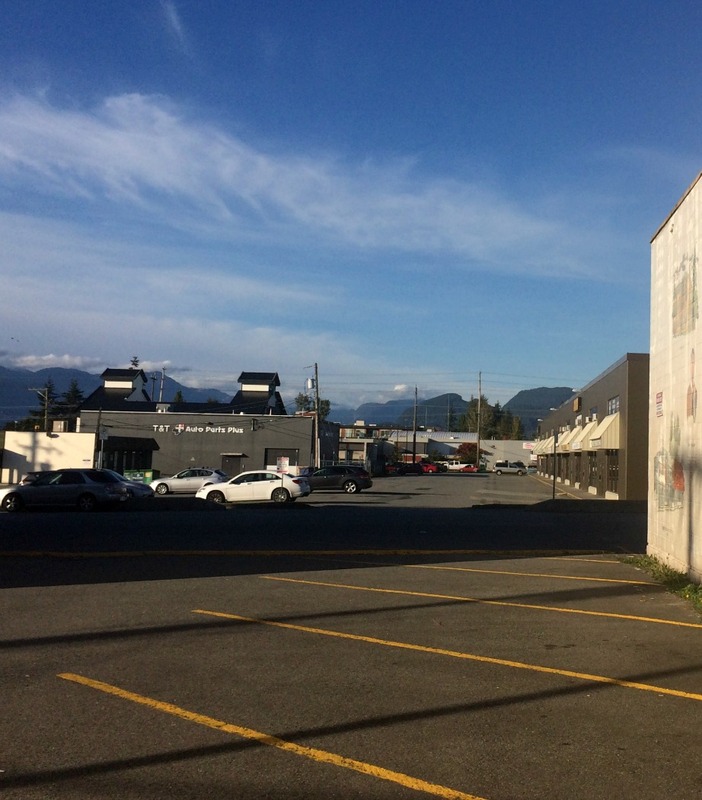 Lordco’s office, retail parts outlet and machine shop anchor the automotive repair precinct adjacent to the Maple Ridge downtown core. 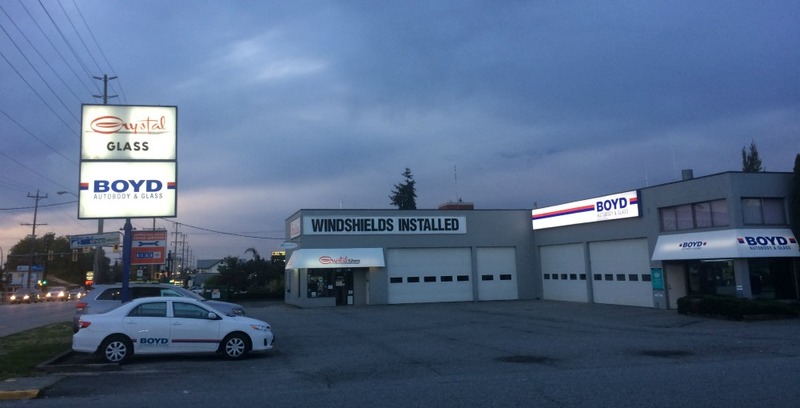 The head office building looks over Dewdney Trunk Road to the Insurance Corporation of British Columbia Claims Centre, a supersize garage where technicians examine damaged cars before they approve them for repair. Our map below shows numerous auto service shops located close to ICBC, with parts retailers (including Lordco) nestled in around the repair shops. Co-tourist Dominic Kotarski and I recently walked the precinct to document its complexity and drink some beer. We observed that after you have dropped your vehicle at the repair shop, you can catch a taxi at the taxi office, rent a car from Hertz, catch a bus from the bus loop (just west of Alouette Taxi) or turn yourself in at the police station. You can also consume an ale at one of the city’s three fine craft breweries. They are part of a trend that was noted in my previous post. The automotive precinct in Maple Ridge, showing the city’s central park, malls, public buildings and craft breweries as of October 2017. Haney was the main village in the rural district of Maple Ridge; I have used the term “Upper Haney” to distinguish the upland plateau from Port Haney, which is my neighbourhood. There is no Haney Street in Maple Ridge, so I have invented one, taking the place of 224th. Thanks to Cindy Farnsworth for the map.